Mundelein High School District 120 announced that Mundelein High School’s 2018 yearbook, Obelisk, recently earned six awards in Division 5 of the Illinois Journalism Education Association 2018 Yearbook Contest. 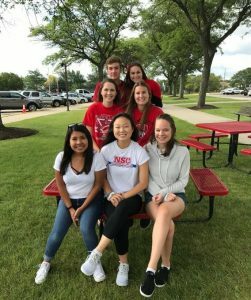 Outside the school’s front entrance are Yearbook editors (front row, from left) Rosibel Gomez ’19, Claire Kim ’19, Jessica Franzen ’19, (middle row, from left) Sydney Blackmer ’18, Myah Strokosch ’18, (back row, from left) Kyle Ehemann ’18 and Sophia Fiore ’18. The Lake County State’s Attorney’s Office reported that Lake County State’s Attorney Michael G. Nerheim recently was elected by his colleagues in the Second Judicial District to serve on the Board of Governors of the Illinois Office of the State’s Attorneys Appellate Prosecutor, a judicial agency of state government that provides support services for the 102 state’s attorneys throughout Illinois. ILSAAP is responsible for handling intermediate appeals, advice calls on novel and complex legal issues, conflict of interest prosecutions, advanced prosecutor training and coordinating legislative policy recommendations. The Board of Governors, comprised of 10 elected state’s attorneys, is responsible for overseeing and providing guidance to the director of the agency, who handles all administrative and managerial functions for the agency’s employees statewide. Nerheim also was elected by members statewide to serve on the Executive Committee of the Illinois State’s Attorney’s Association. For more information, call 847-377-3000 or visit www.lakecountyil.gov. The College of Lake County recently was named a Military Friendly Gold School Award recipient for 2018-19, marking the second consecutive year that it has achieved Gold status. Victory Media, a Pittsburgh-based publisher of G.I. Jobs magazine and originator of the designation, listed CLC in the Large Community Colleges category. Overall, CLC’s Military Friendly School designation is its 10th consecutive. Achieving Gold status indicates that the college has attained a total score that is within 20 percent of those attained by schools finishing among the top 10. Institutions earning the Military Friendly School designation are evaluated using both public data sources and responses from a survey completed by the school. Final ratings are determined by combining the institution’s survey scores with the assessment of the school’s ability to meet thresholds for student retention, graduation, job placement and loan repayment. Other criteria include persistence toward degree advancement or transfer, as well as loan default rates for all students, including veterans. In the last three years, CLC has added five part-time interns to its two-member Veterans Student Services staff to reduce wait times. Other enhancements include peer mentoring, an annual creative arts festival and annual movie night, and greater collaboration with local veterans agencies and organizations. For more information, call 847-543-2000 or visit www.clcillinois.edu/gateway/military. Mundelein High School District 120 announced that Mundelein High School’s 2018 yearbook, Obelisk, recently earned six awards in Division 5 of the Illinois Journalism Education Association 2018 Yearbook Contest. Mundelein’s 2018 yearbook — with the theme, “Stay Connected” — earned second place in the Copy Writing category, and also placed third in both Graphics and Sports Coverage. In addition, the yearbook received honorable mention recognition in Theme Development, Best Use of Photography and Coverage of the Year. The 2018 Obelisk staff was led by editors-in-chief Kyle Ehemann and Sophia Fiore, both Class of 2018 graduates. 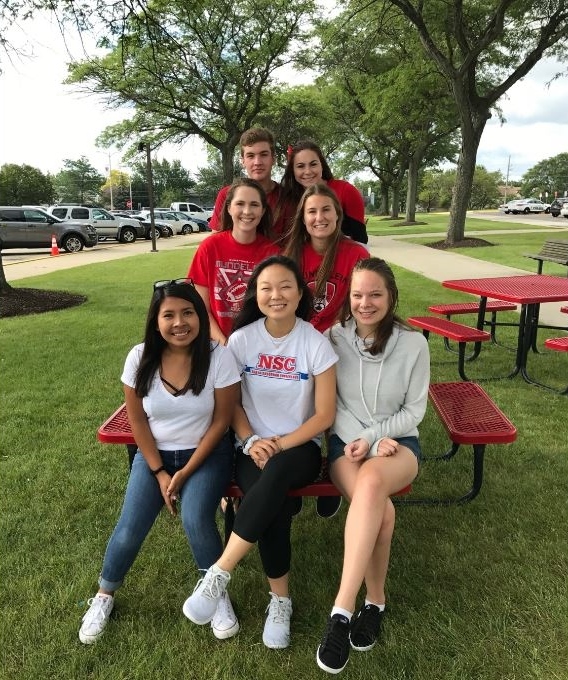 The staff also included Class of 2018 grads Sydney Blackmer and Myah Strokosch, and current seniors Rosibel Gomez, Claire Kim and Jessica Franzen. For more information, call 847-949-2200 or visit www.d120.org. The village announced that it recently received a $25,000 grant to complete the Arbor Walk for the new Meadowlark Park and Arboretum. Hawthorn Woods was awarded the grant through the Canadian National EcoConnexions’ “From the Ground Up” grant program. The program, in collaboration with America in Bloom, supports collaborative community greening projects that enhance landscapes, improve quality of life in communities, and improve environmental stewardship in communities neighboring Canadian National Railway lines. Hawthorn Woods was recognized for community impact and engagement, sustainability, technical assurances and similar alignments with the program’s objectives. 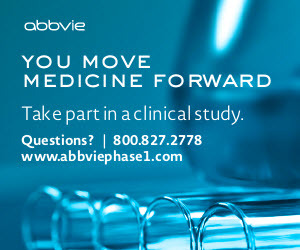 For more information, call 847-438-550 or visit www.vhw.org. The village announced that it will host Daddy Daughter Dance 2019 from 6-8 p.m. Feb. 16 at the Lakefront Park Building, 71 Nippersink Blvd. The event, titled, “Under the Sea,” includes music, dancing, games and more. The fee is $15 per father-and-daughter couple (residents) and $20 per couple (nonresidents). Advance registration is required (no day-of registration). Registration forms are available online at www.foxlake.org. Payment and completed registration forms should be dropped off at Village Hall, 66 Thillen Drive. The deadline to register is Feb. 8. For more information, call the Parks and Recreation Department at 224-225-1404. The village reported that Buffalo Grove Police Department School Resource Officer (SRO) Ashley Krozel recently received the Law Enforcement Award from the Lake County Juvenile Officer’s Association for her work and dedication to youths living and attending schools in and around Buffalo Grove. Krozel has been a School Resource Officer for seven years, serving as a mentor and resource for students in both Kildeer Countryside School District 96 and Aptakisic-Tripp School District 102. She also has served as an educator, presenting courses on internet safety, bullying, and drug and alcohol resistance. In addition, Krozel recently was elected as the 2019 Vice President of LCJOA. For more information, call 847-459-2500 or visit ww.vbg.org.